http://loto-ru.win/ лото ру казино онлайн казино loto лото. Kashira TPP is the largest industrial enterprise in Kashira District of Moscow Region. It uses coal and natural gas as its main fuel and fuel oil as backup fuel. 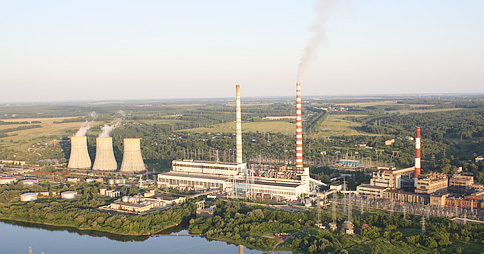 The power plant has 1,910 MW of installed capacity (units 1 through 6 rated at 300 MW, and heat unit 7 rated at 80 MW). Kashira TPP was built between 1919 and 1922 as a part of GOELRO program. It has undergone numerous upgrades and productivity improvement programs since initial launch. Kashira-Moscow overhead transmission line was the nation's first first 110 kV transmission line. In 1939, the staff of Kashirskaya TPP was rewarded with the Order of Lenin. In the beginning of the Great Patriotic War, Kashira TPS was partially dismantled and evacuated, restoration effort starting in January 1942. There was a major upgrade with replacement of core equipment in the 60s. This upgrade included installation of a 10 MW gas turbine, pilot launch of SKR-100 power generating unit, and installation of three 300 MW coal dust power plants. By early 1970s, Kashira TPS had 1178 MW of installed capacity. Construction of the third unit started in 2005, and the unit was launched on June 17, 2009. Since 2006, the station is a subsidiary of OGK-1.